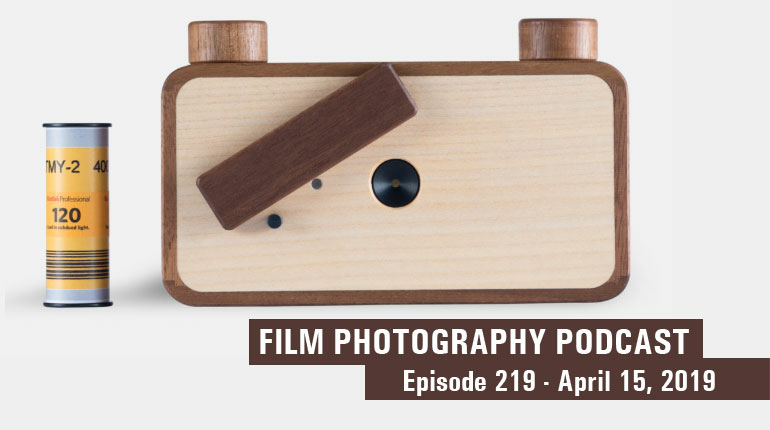 Topics include: Fuji Instax Square, the new Fujifilm Instax Square SQ6 camera, Community darkrooms and the Obscura Darkroom coming to Union NJ, Packard Shutter on-line, Jim Austin's Jimages, Kodak S-Series 100EF Camera, Listener Letters and much more! On today's show Mark Dalzell, John Fedele and I open your letters that you sent via the US Postal Service. Thanks for all the cards, letters and snacks. It's greatly appreciated. A BIG thanks is also in order fot everyone that has donated to our ongoing FPP School Camera Donation Program. We can't do it without you! John Fedele tests his Lomo'Instant Square Pigalle Camera while I chat and test the all-new FujiFilm Instant Square SQ6 Camera. Both use the new Fuji Instax Square Instant Film. Long-time listener and life-long film photographer Jim Austin writes in with a printed newsletter! Jim runs the Jimages website and is the publisher of SHIZEN - SHIZEN (自然) is a complimentary fine art photography eZine. Shizen means natural with no pretense. Of all the piles of plastic 35mm Point and SHoot cameras the FPP has never received a Kodak S-Series 100EF camera! This plastic wonder was given to me by editor Joe Kolbek. His families go-to camera in the 1990s, this simple point and shoot uses aperture technology from the 1950s (as a simple metal circle slides behind the lens to change the camera settings from 100 iso to 400 iso ! We'd love to hear from you! You can donate to our ongoing efforts by visiting our Donation Page here. Shoot us an e-mail at Podcast@FilmPhotographyProject.com, Via snail mail - PO Box 264, Fair Lawn NJ 07410. Sign up for our e-mail newsletter right at our home page! See ya on the radio - next show July 15, 2018!